Manchester United legend turned pundit, Gary Neville has claimed that his former club lost away at Chelsea because we missed the pair of Paul Pogba and Michael Carrick as he believes our midfield was no match to Chelsea’s. We suffered a damaging defeat at Stamford Bridge on Sunday that is threatening our title hopes for this season, which has left us 8 points behind city rivals, Manchester City who currently look untouchable at the top of the table. Pogba has been out injured since September with an hamstring injury and has been missed reason being that he started the season like a house on fire. Neville believes the likes of Herrera, Matic and Henrikh Mkhitaryan were no match for Chelsea trio: Kanye, Bakayoko and Fabregas. United manager, Jose Mourinho has been criticised for his style of play at the home of the champions, with many believing that we should have taken advantage of Chelsea’s lack of form at the moment by attacking The Blues relentlessly. The former right back is an authority in the world of football given that he spent his whole career at the club, winning countless titles and leading by example on numerous occasions alongside the likes of Ryan Giggs and Paul Scholes members of the famed class of ’92. 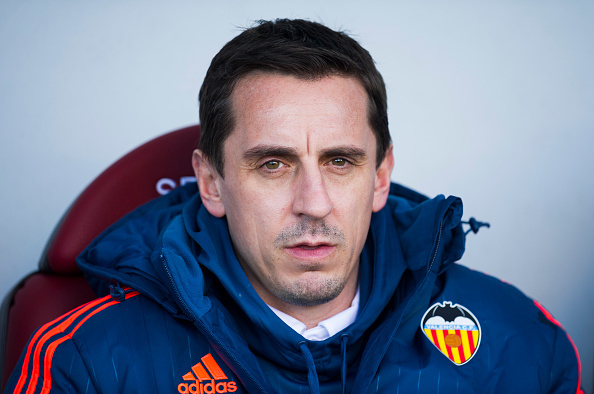 Speaking on Sky Sports, Neville said, “I thought they got killed in midfield, Jose Mourinho, since the Liverpool game, has talked about not being able to freshen it up. I thought Herrera, Matic and Mkhitaryan got absolutely ambushed. “I think Pogba is a big miss because of his confidence and arrogance”“Michael Carrick, too – he delivers those passes up to strikers, to the side of defenders, and I think those two players would have made a big difference.” He added. Pogba has been more of an influential member of the first team as the signing of Nemanja Matic has liberated the former Juventus man from defensive responsibilities he struggled with last season. Carrick on the other hand has barely featured this season due to injury but is still widely respected at Old Trafford due to his longevity at the club and given that he is club captain.